I want to order a high end custom Long bow for hunting. I have a Bamabow once piece long bow which I have shot a few pigs with but the bowyer has gone out of business. I want a top notch take down long bow for travel purposes. I have looked at Blacktail and Schafer amongst others. Cost is not so much of an issue. What would be reccomended id be open to ideas. Cheers.. I was in the same situation early last year and went with a stalker stickbow coyote and have been very pleased with my purchase. Dealing with South wasn’t the easiest his communication wasn’t the best, but I believe at the time he was moving his workshop. The bow itself is fantastic to shoot and is an absolute beauty to the eye. Build time was around 6 months. Can’t comment on any other custom bows as I haven’t owned or used any other customs. I would have purchased an Aussie build but couldn’t find a maker who does a takedown longbow. Last edited by Papascarface; 10th January 2019 at 10:32 AM. Hahaha open a can of worms here mate. Lots of personal opinions and obviously hard to try em all. I've got a Schafer Silvertip recurve and love it, just got a Big Jim thunderchild and enjoying that too... originally ordered a longbow Schafer but changed my mind when my time order was due Dave and Beth Windaur at Schafer were awesome to deal with, always kept me in the loop with pictures and updates etc. 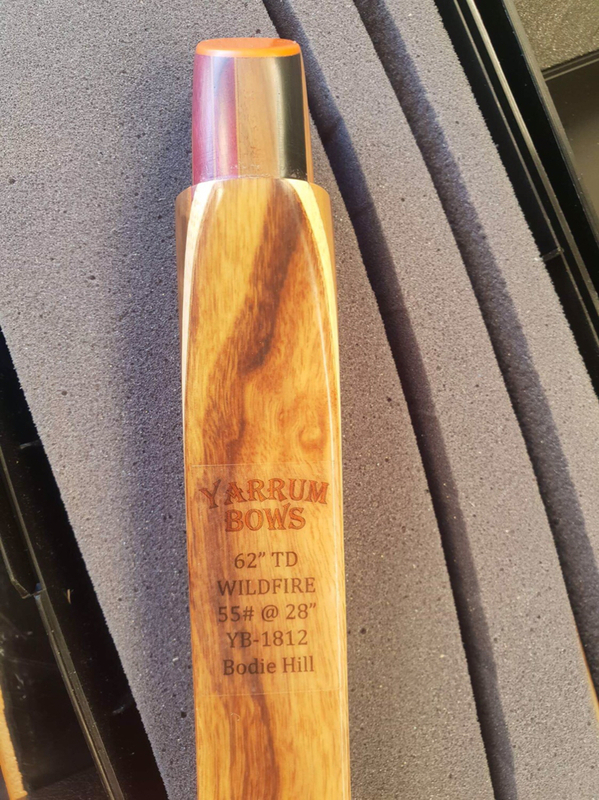 Big Jim on the other hand was horrible, no updates, I had to call for them to tell me my bow was delayed (quoted 12month wait, got it after 18 months).... I'd definitely have another Schafer, and longbow would be next. I do like the 2 piece Thunderchild but Schafer only do a 3 piece. Jeez mate, that's a rough position to be in, how do you sleep at night. 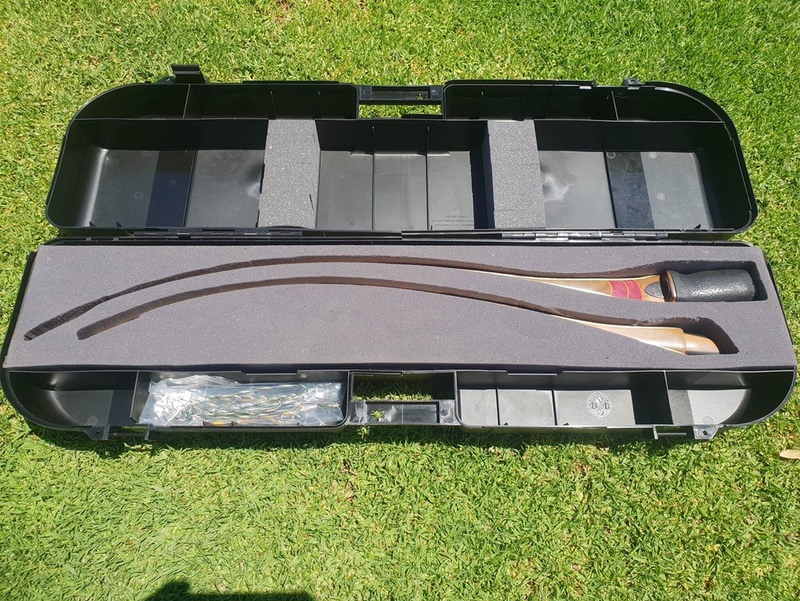 It would be worth having a shot of some high end bows if possible (other peoples) to see what sort of grip etc that suits your particular shooting style, what you like, my first custom bow the grip wasn't suited to me at all and I struggled with it, which was a shame. I know it's a long wait but bows like big Jim's are hard to fault and extremely desirable and I don't see them being made for ever, right now it would be pretty nice to own a few huntsman bows right now seeing they are not being made anymore. If I was in your position I would lean towards a blacktail, not many in Aus at all and they do unreal work, even the bows they do without all the inlay work are sweet to shoot. That's a nice case did you set it up with the foam and everything? Yep i got mine at the same time as you, i dont think his head was in the game with the move. it was about the same wait time and the poundages on the 2 sets of limbs i ordered were mixed up, and the riser started to crack within 6 months. But in saying that, south sent me a new riser to try before i had to send the dodgy one back. Dont let that put you off a stalker though, they are great bows and i couldnt be happier with mine. Just wish i could shoot it more. Love my Stalker Stickbow I would buy another one for sure. I reckon you've gotta figure out a few pretty keen points first and this will help narrow down the options. I went through this dilemma myself recently (unfortunately with cost constraints :)). Do you want a 2 or 3 piece? If 2 piece bow bolt or sleeve? Are you chasing a traditional D shape bow, R/D bow or a hybrid? Figuring out these points first helped me narrow down my options considerably. I think a take down longbow might be on the cards for Rob at Flatline bows in Cairns. Might be worth an enquiry. I have a one piece java man which is awesome but a one piece. He does a take down but priced it with the exchange rate and it was 1800 which included nice timbers and antler overlay. Bit too much for me at this stage.